Azure Resource Manager policies provide the ability to manage risks within a Azure environment. To implement this so called policies can be created to enforce specific circumstances. Polices are a settings that are default set to allow. Polices are defined with JSON formatted files. 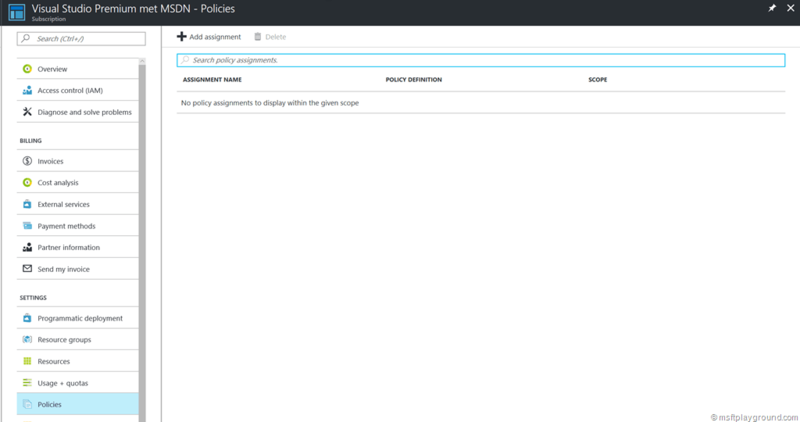 As of today policies can be managed within the Preview Azure Portal. 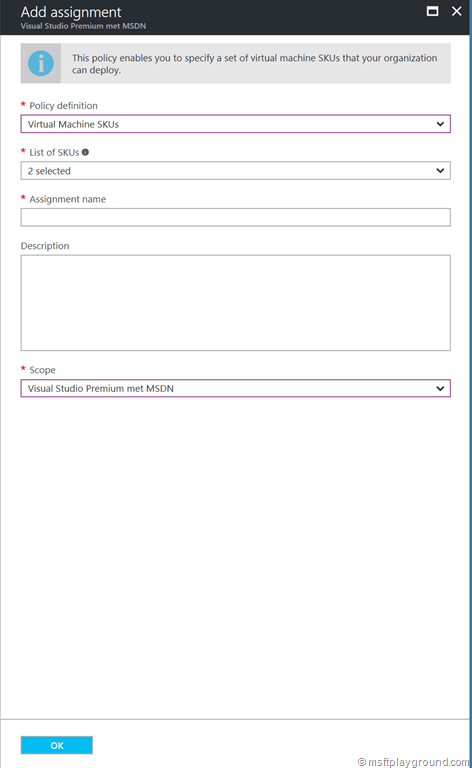 Before this you needed to use PowerShell (If you prefer PowerShell you can read my previous post: “Define Azure Resource Manager Policies”). For a couple situations you still need to use PowerShell because certain functions are not yet available within Azure. A option “Policies” is added to the settings blade of the specified levels. 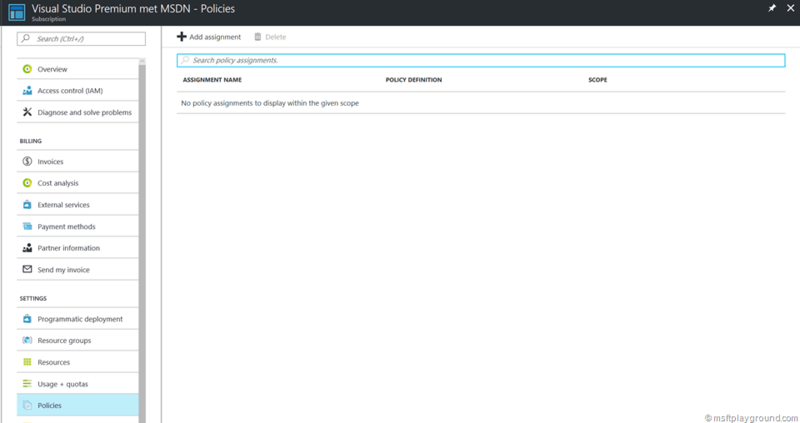 Clicking on the setting will show the assigned policies. SQL Server version 12.0 required. The build-in options provide you with the ability to add the specific allowed items directly from the interface for example the SKUs of Virtual Machines. Besides the build-in policies the drop down also shows custom policies that are uploaded via PowerShell. Better error messages within the portal, that reference the policies. A way to edit the policies within the portal. Regular expression possibility within policies. This can come in use for naming conventions.